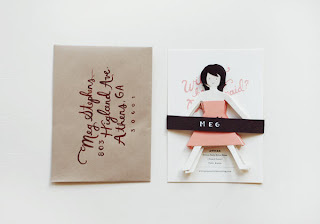 made by jessa | odds and ends: will you? 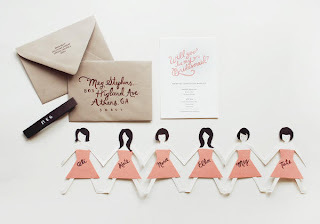 i really like this little paper project i found on oncewed.com. 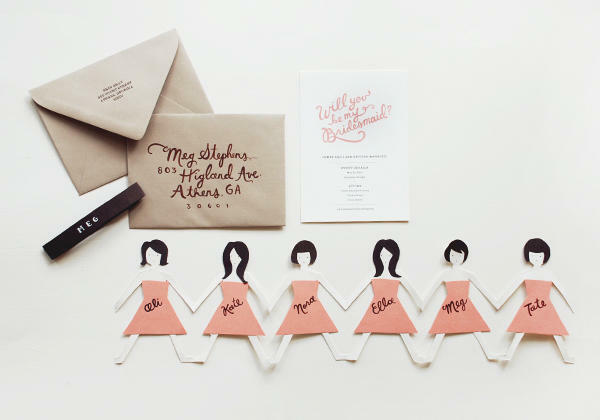 the project was created by anna from rifle paper co. and if you need a good way to ask your best girls to be in your wedding, this is it! it is so cute and easy! click here for the full instructions. below is a picture of what the finished product will look like. have fun cutting! modern family tonight!